Unmistakably Italian styling; sublime sports sedan chassis; powerful engine lineup; premium feel; available all-wheel drive. The Alfa Romeo Giulia returns for 2019 with several new option packages along with one or two new standard features as well. The Giulia Ti Sport now comes with 19-inch wheels as standard while the Giulia Quadrifoglio now has anodized brake calipers and a 40/20/40 split folding rear seat. New option packages include a Nero Edizione with a blacked-out grill headlamp bezels and exhaust tips, while a carbon fiber package includes extra carbon goodies throughout the exterior. 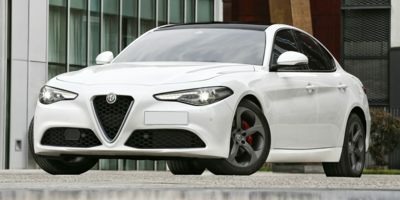 The Giulia starts at just over $38,000 and should compete with other entry level luxury sedans and sport sedans such as the Mercedes-Benz C-Class, the BMW 3-Series and the Audi A4. The high-performance Quadrifoglio version of the Giulia likewise does battle with the BMW M3 and the Mercedes AMG C63 and is priced accordingly, starting around $73,000. The Giulia has several advantages over its rivals. The Giulia's styling is more emotional and raw than anything seen from the relatively staid German competition. Alfa Romeo, via its corporate connections, also has access to Ferrari and their knowledge of how to build exceptional performance cars.